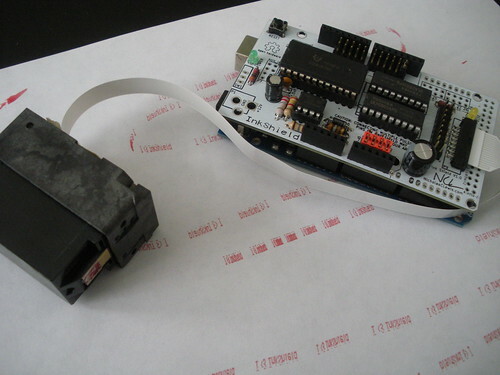 It was discovered that there is a lack of DIY inkjet kits available. Parallax made a kit which is no longer available and the book “Inkjet Applications” by Matt Gilliland is now out of print. I was able to borrow a copy of this book which became the primary resource used in developing this project. 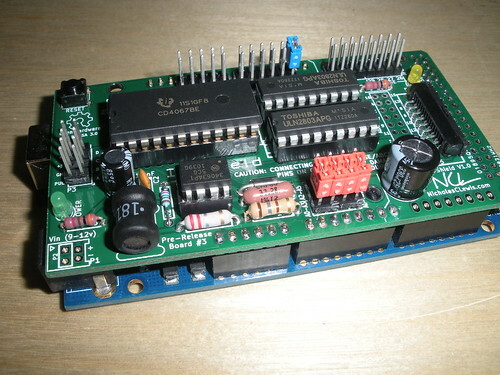 It contains information about directly controlling the HP 51604 cartridge with a microcontroller and Darlington arrays. The problem with this head is that the cartridge holder is not available. Some research was done into these small 12 nozzle cartridges and the HP C6602 was found. This head has a carriage holder that is available to purchase. 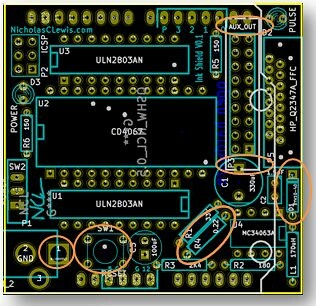 Initial tests were done with just Darlington arrays and required 12 output pins on the Arduino. They were also done using 32v power supplies regulated down to 21v vs 12v boosted up. Below is the development history of this shield. 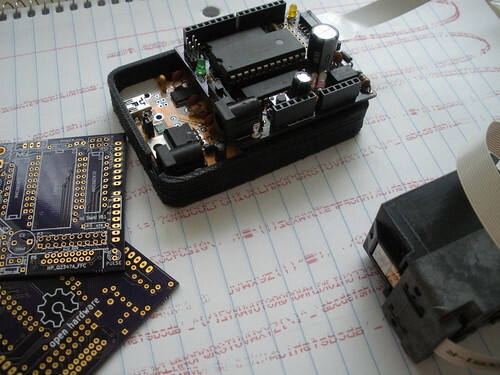 It started as an Arduino only shield which was designed to be as small as possible (v0.1). I then decided to make the shield more versatile and started the KickStarter to see if there was enough interest to make a production run. 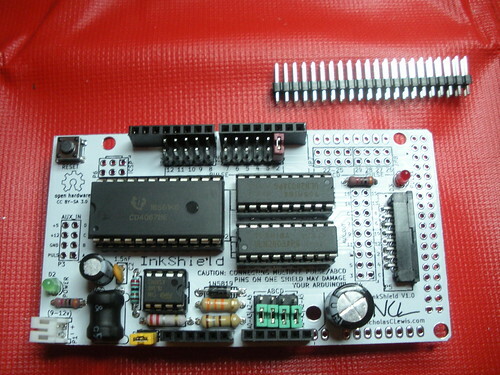 This lead to the 3 iterations of the v1.0 board. These should probably have been different version numbers but I failed to change that for the boards I produced. P1 – Rear hole too small for my specific barrel jack. Others fit fine. SW1 – Hole pattern wrong, required bending the switch legs slightly. 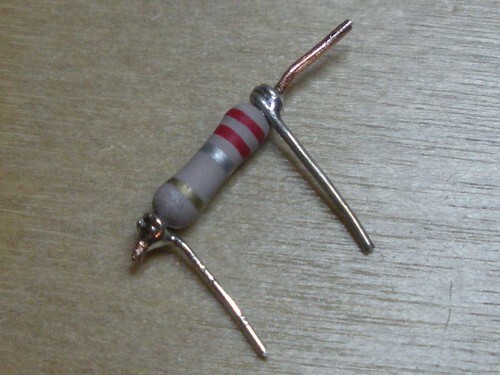 R4 – Both holes too small, required fix as shown below. D1 – Both holes too small, required fix as shown below. 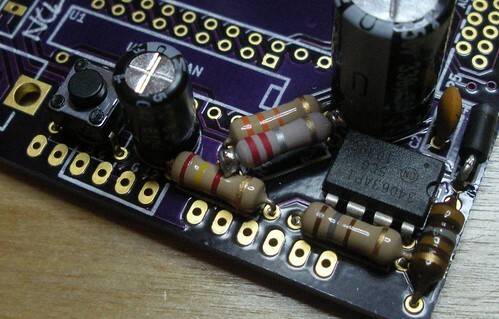 P3 – Too close to C1 and header pins, this was an optional aux header anyway. Shield holes only fit stackable headers.